Published on February 20, 2011 in Actions, Athens, Featured, Hunger Strike, hungerstrike300, Thessaloniki and Worldwide. 14 Comments Tags: 300, ACT NOW!, consulates, email, embassies, everywhere, fax, hunger strike, letter, ministeries, phone, solidarity. They decided to go on a hunger strike, demanding the unconditional legalisation of all migrants in Greece. 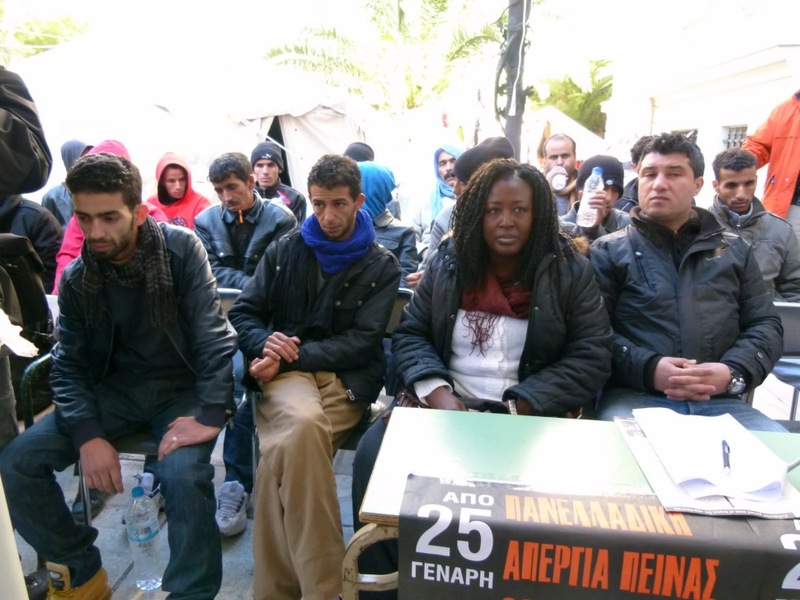 A big group of hunger strikers came with by ship from Crete. 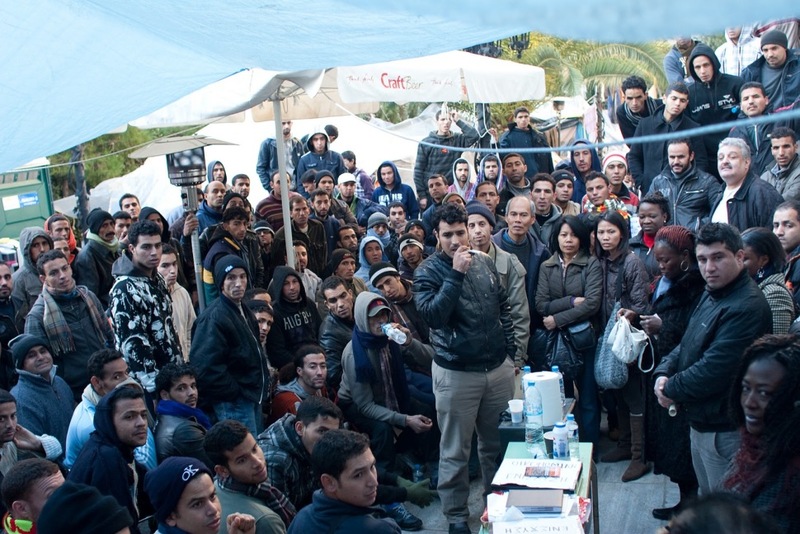 Solidarity groups welcomed the migrants at the port of Piraeus, and then, they altogether moved to an empty building of the university in the centre of Athens. A university building was picked because police is not allowed to enter the university (university asylum) since the end of the military junta, when soldiers entered the polytechnic university by force – but in the case of migrant protesters the university asylum was not respected. As a result of negotiations the hunger strikers moved to a building close to the university. As you well know, today is the 25th day of our hunger strike. So far we have had no response from the Government. No one has spoken. What is the Government waiting for? Is it waiting for us to die? After speaking these words, Hassan suffered a hypoglycaemic shock and turned unconscious. The incident illustrates the extreme situation of the strikers who have been on an austere hunger strike for more than 25 days now, taking only water, sugar and salt. Eight hunger strikers are in hospital to date (day 26), dozens more face serious health problems. But until now the authorities don’t move to fulfill their demand for legalisation. We are sending a message to the Prime Minister, who has said that he was a cleaner in Sweden and has experienced racism. It is time to intervene before it’s too late. So that we won’t have any deaths. The wave of support for the hunger strikers has become enormous: from institutional members, to unions, hundreds of artists and intellectuals, thousands of supporters in Greece and abroad stand in solidarity. But obviously the government needs some more kicking – so now it’s also up to you. It is time to act!